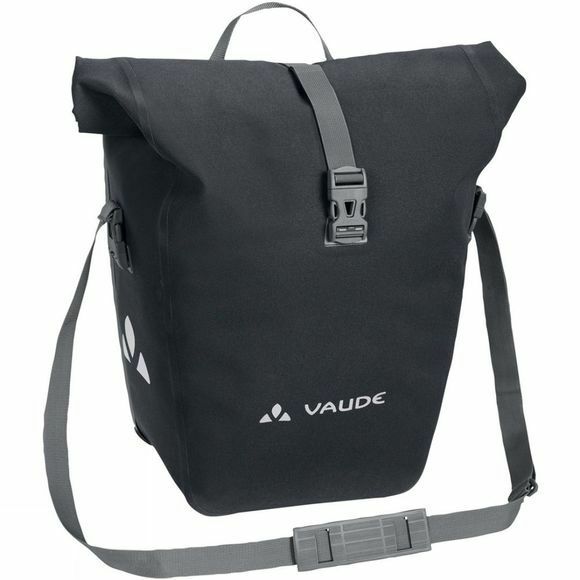 The Aqua Back Deluxe Bag from Vaude is a classic for bikepacking and also comes in a textile material version that's perfect for urban living. 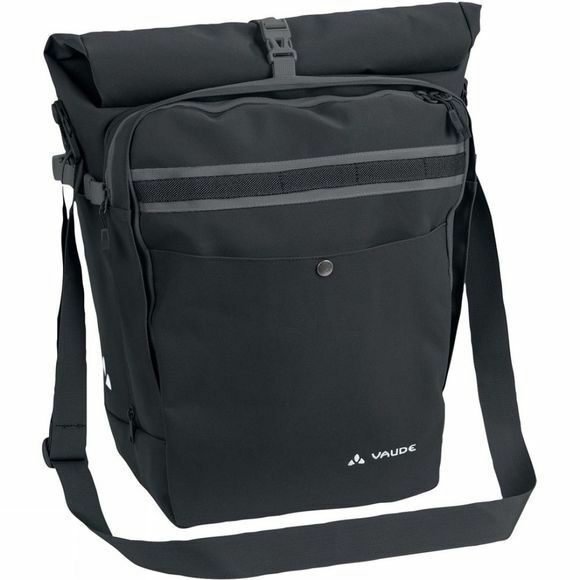 The waterproof rear pannier with an understated print is climate neutrally manufactured at the German Vaude company headquarters near Lake Constance with durable, PVC-free tarpaulin material. With a roll closure that allows you to customize the size of the bag and seal it so that it's water tight. An extra inside pocket makes it easy to store things separately. The bag is securely attached to either the right or left side of the rear gear rack with the QMR 2.0 system, which also allows for easy adjustment and quick on-and-off. With a bike lock, it can be directly locked onto the QMR hook. Reflective elements ensure high visibility in traffic and low light conditions. Can be used together with the practical accessory bags: Toolbag Back, Sortyour Back, Addita Bag.